Ah yes, another great “superfood” review where I separate fact and fiction. This time I’ll be reviewing hemp. Hemp has a weird stigma with it because of it’s relationship to marijuana. Hemp and marijuana come from the same Cannabis Sativa plant species but are different subspecies of the plant. The strain used for hemp is usually taller, grown for the fiber and seeds, and contains very little THC (Tetrahydrocannabinol, the psychoactive compound in marijuana.) The subspecies used for marijuana is usually a shorter plant that is breed for high levels of THC. Most people use 0.3 % THC as the threshold to differentiate if that plant is referred to as cannabis (for drug use) or hemp (for everything else.) In the US, it is still illegal to grow industrial hemp, but it is legal is to consume, buy, sell and ship. Because the concentration of THC is low in hemp products, you won’t be testing positive for marijuana when you consume them. Because of it’s association with marijuana, there have not been extensive studies done on hemp seeds, but the research that does exists looks promising. Let’s take a some of these benefits that you might experience if you choose to add hemp seeds to your diet. Hemp is a great source of plant-based protein and is one of the more popular types of protein powders. The protein digestibility-corrected amino acid score (PDCAAS) for hemp is equal to or better than most other plant-based foods. The two main types of protein in hemp seeds are edestin and albumin. Both are considered a complete proteins because it contains all the essential amino acids that the body can’t produce on it’s own. Most the essential amino acids fall within the recommended range of the Institute of Medicine’s Food and Nutrition Board but lysine is low and leucine is a little low. This is why the PDCAAS score is lower than most animal-based proteins, but you can add other sources of those aminos to maximize your protein utilization. The protein from hemp is high in the conditionally essential amino acid arginine. Arginine is great for most people because it helps wound healing and can relax the arteries. It also can turn into NO (Nitric Oxide) in the body which can aid in muscle growth. There are a few people that want to avoid foods that are high in arginine and low in lysine. Foods like hemp and other nuts and seeds are high in arginine and low in lysine. Arginine can help viruses like herpes and shingles reproduce and lysine is antiviral and can block these viruses’ ability to replicate. For most people, this is not a huge concern but if you are susceptible to these type of viruses, this is something you need to take into account. Meat and dairy products are foods that are high in lysine and low in arginine. Hemp seeds are full of great fats. In fact, most of the calories from hemp seeds come from fat and most of the fat is polyunsaturated. The two most prevalent polyunsaturated fatty acids (PUFAs) are the omega-6 linoleic acid (LA) and the omega-3 alpha-lonolenic acid (ALA.) The ratio of omega-6 to omega-3 is between 2:1 and 3:1 which is considered a favorable ratio. They also contain gamma-linolenic acid (GLA) which may be anti-inflammatory. They may also have some anti-cancer properties as well as potentially reducing symptoms of osteoporosis and PMS. Hemp Oil is a popular way to add good fats to your diet. GLA may also help in the prevention of heart disease and reducing some of the risk markers. As mentioned before they may reduce inflammation which is a risk factor for heart disease. Hemp seeds can also help to protect the heart. It can also help to prevent high blood pressure and reduce blood clots. There is not a lot of research but a 2005 study showed that hemp seed oil helped improve symptoms for atopic dermatitis (aka eczema.) This is a condition where your skin becomes dry, itchy and irritated. This was a small 20-week study in which 20 subjects orally consumed 2 tbsp of either olive oil or hempseed oil per day. Dryness and itchiness significantly improved in the hemp seep oil group and no changes were observed in the olive oil group. The hemp seed oil group experienced changes in their blood fatty acid profiles which suggest that the fats in hempseed oil may have led to the improvements. A 2008 study on the effects of hemp seed protein suggested that it may improve fatigue as well as boost the immune system. Take this with a grain of salt though because this was a study of mice and not humans. The mice with the hemp seed protein had better swim times and less lactic acid than the control group. Hemp seeds are high in Vitamin E, Magnesium, Thiamine, Phosphorus and Manganese. Whole hemp seeds are also high in soluble and non-soluble fiber. Shelled hemp seeds or hemp hearts also have some fiber but not as much as with the hulls still on. Hemp hearts do have better protein digestibility though. There are many ways you can use hemp seeds. You can use them in salads, or sprinkle them on yogurt. You can also throw them in your smoothies. Hemp oil can be used for salad dressings or anything else you would normally do with an oil, but I since it’s a polyunsaturated fat, I would not recommend cooking with it since it can oxidize easily. 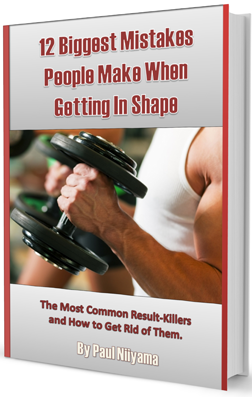 If you are interested in more great nutritional info as well as workout tips, make sure you get my FREE eBook. If you have any questions about this article or suggestions for future articles, leave a comment below or look for me on Facebook or Twitter.